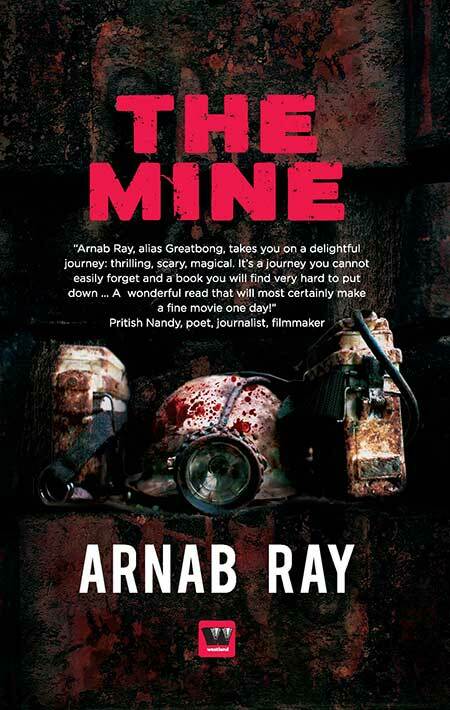 Classified as a horror novel, Arnab Ray’s The Mine was not only one of the first books in its genre in India (in English), but also one of the first to release a visual trailer of the book months before its release. 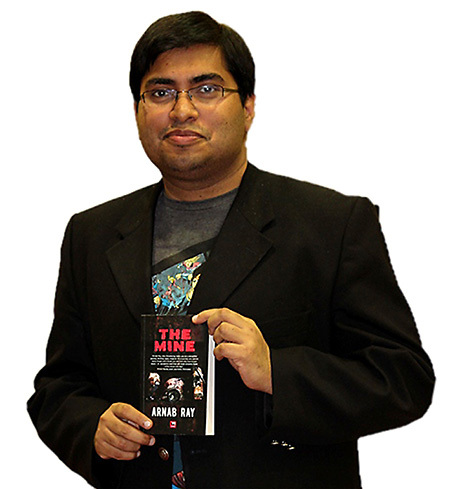 Blogger and author Arnab Ray. The Mine is one of the few Indian horror novels in English. How did that come about? There are legends of artists who, disappointed with the lack of material on the subject they love, set out to create such material themselves. Was it an apparent lack of books in this genre that instigated you to write one, or did it just so happen that the story that you wanted to share dabbled in a genre that was new in India? Is it easier to sell the idea of absolutely new genres to publishers once you’re already a published writer (and celebrity blogger)? How different do you think the process of bringing out this book would have been had The Mine been your first writing venture and you weren’t a well-known blogger? I had had the idea for The Mine for many years. I deliberately chose May I Hebb Your Attention Pliss to be my first book because, being non-fiction, it was in my comfort zone. Once I had a book to my credit, the process of writing became a bit more comprehensible. That’s when I felt confident enough to attempt The Mine. Did you find the freedom to be as dark as you really wanted to with The Mine? Did the fact that this was one of the first Indian books in its genre cause you to be a little more guarded when it came to executing your initial story? Fortunately, there is no censor board or rating system for books. Hence, no punches were pulled. As someone who has a regular output of writing (with your blog), how hard is it to transition from writing blog posts to storytelling? Does either of them come easier to you? They have their own distinct challenges. For blogs, one needs to be clear about the central idea and strike a balance between brevity and exposition. In a novel, the challenge is to maintain the pacing, the tone, and the characterisation in a consistent way over 300 or so pages. How do you ideate? Where do you place a rigid writing schedule on the scale of Things an Author Must Do? I am not a professional writer. I work full-time and whatever writing I do is in the evenings. I think of ideas all through the day—while driving, sitting in the doctor’s chamber, and yes, even while eating. I have no rigid schedule and write only when I feel like. What was the overall feedback like for The Mine? Days before its release, how did you expect it to be received? Overall it was very positive. One can never expect anything—hoping for success is the best you can do. Did you look up reader reviews/customer comments on web sites? You must be quite experienced when it comes to Internet trolls and general vitriolic comments as a blogger, but is it the same when you come out with a novel? How does an author arm himself before heading out into this online world where opinions are so immediate and vocal? I visit Flipkart and Amazon to check my reviews. No one likes bad reviews or ugly comments, but the moment you put a commercial work in the marketplace, bad reviews are to be expected. It feels bad when you read them but then you just shrug and move on. Is it a conscious decision on your part to put yourself out there as a writer? You write about a variety of subjects on your blog, but you’re also a prolific tweeter. Is it imperative that writers today must have that sort of visibility, that platform to interact personally with their readers? Is there any place for a reclusive writer in today’s publishing world—one that has become inextricable with marketing? I put myself “out there” not because I have a book to promote but because I am an “out there” kind of person. Even after I have stopped writing books, I will be as out-there as I currently am. The publishing world is so different today for Indian writing in English. We have Indian fantasy series, horror, graphic novels, mythological chronicles, and pulp fiction finding an increasing number of readers everyday. Do you think this readership has always existed and it’s only now that publishing houses and authors are giving the audiences what they want, or is it a cultural give and take? Technology has made it cheaper to print and produce books which allows publishers (at least some of them) to take a few more risks than they used to. The market for niche fiction has also developed, side by side, because of the Internet and the greater availability of foreign genre work (books and movies). Are these promising times to be a writer in India? The barriers to getting published have gone down, definitely. There are more publishers, more buyers, and more ways to market books. Click here to purchase The Mine. ‘Cornering the Genre’ is a new series of interviews on Helter Skelter, in which we talk to recently-published authors about a variety of writerly pursuits. The authors featured here represent a different genre each, and are part of a boom in newly-emerging genres in India in the last couple of years. They share their views with us on publishing, writing, and reacting in today’s world. A literature post-graduate from Jawaharlal Nehru University, Shruti Rao is a freelance writer and poet. She has been published in national and international journals such as International Literary Quarterly, Prosopisia, Reading Hour, and Governance Now. For the right amount of vada pav, she will write you a poem. By Urvashi Bahuguna · In conversation with author Sumana Roy about her discomfort with the word 'nature' and her desire to experience a plant’s-eye view of the world. By Arun Kale · A quick chat with Bidisha Basu, one of the founders of Leaping Windows, India's first library and café for comic books, graphic novels, and manga. I have to wonder if that visual trailer was really of any use. It has just a little more than 200 views, and didn’t tell me anything about the book (the cover and blurb on the back were what prompted me to buy it).